Beverly Middle School Homeward Bound: Science Fair - Register by Friday for Chance at iTunes Card! 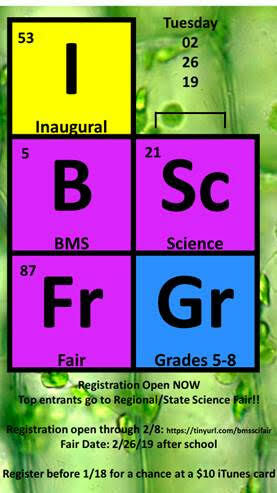 Science Fair - Register by Friday for Chance at iTunes Card! Registered participants can pick up their science fair note books from Mrs. Hopkins in room 131A or Mrs. Fish in room 339A.